Valid Nutrition will conduct its operations with honesty, integrity and openness, fairness, respect, responsibility, trust and sound business judgement and with respect for the human rights and interests of our employees. We shall similarly respect the legitimate interests of those with whom we have relationships. Valid Nutrition and its employees are required to comply with the laws and regulations of the countries in which we operate. Valid Nutrition is committed to diversity in a working environment where there is mutual trust and respect and where everyone feels responsible for the performance and reputation of our company. We will recruit, employ and promote employees on the sole basis of the qualifications and abilities needed for the work to be performed. VN are committed to pay fair remuneration. We are committed to safe and healthy working conditions for all employees and to respecting their dignity at all times. We are committed to working with employees to develop and enhance each individual’s skills and capabilities. Valid Nutrition is committed to providing optimal quality ready-to-use foods at a competitive cost, which are safe for their intended use, and deliver nutritional benefits to all those who need them. Products and services will be accurately and properly labelled, advertised and communicated. Valid® Nutrition is committed to establishing mutually beneficial relations with our suppliers, customers and business collaborators. In our business dealings, we expect our collaborators to adhere to business principles consistent with our own. Valid Nutrition will conduct its operations in accordance with internationally accepted principles of good corporate governance. We will provide timely, regular and reliable information on our activities, structure, financial situation and performance to Trustees, our Management Board and stakeholders. Valid Nutrition strives to be a trusted humanitarian company. We neither support political parties nor contribute to the funds of groups whose activities are calculated to promote party interests. We are committed to making continuous improvements in the management of our environmental impact. In our new product development and innovation to meet humanitarian needs we will respect the concerns of our customers, consumers and of society. We will work on the basis of sound science, evidence-based, and applying rigorous standards of product safety. Valid Nutrition and employees will conduct their operations in accordance with the principles of fair competition and all applicable regulations. In this respect, staff will refrain from gathering competitor intelligence by illegal or illegitimate means, and refrain from exaggerated or disparaging comments about competitor products or operations. acceptance of the need to promote fairness and justice. Valid Nutrition does not give or receive, whether directly or indirectly, bribes or other improper advantages for business or financial gain. No employee may offer, give or receive any gift or payment which is, or may be construed as being, a bribe. Any demand for, or offer of, a bribe must be rejected immediately and reported to management. Valid Nutrition accounting records and supporting documents must accurately describe and reflect the nature of the underlying transactions. No undisclosed or unrecorded account, fund or asset will be established or maintained. All Valid Nutrition employees are expected to avoid personal activities and financial interests which could conflict with their responsibilities to the company. Employees must not seek gain for themselves or others through misuse of their positions. All Valid Nutrition Information Technology equipment including computers, phones and other appliances must be used responsibly and solely in accordance with both legal and moral standards. Staff will often have access to or possession of confidential or business-sensitive information. Staff will take appropriate steps to ensure such information is strictly safeguarded especially that in relation to new products, strategic plans, operational results, marketing plans, personnel records and manufacturing processes. Such information must be treated confidentiality and sensitively and should only be shared on a need to know basis. When in doubt the Chief Executive should be consulted. Any breaches of the Code must be reported to the Chairperson and Chief Executive of Valid® Nutrition. Violation of the Code of Principles may result in disciplinary action, including termination of employment. 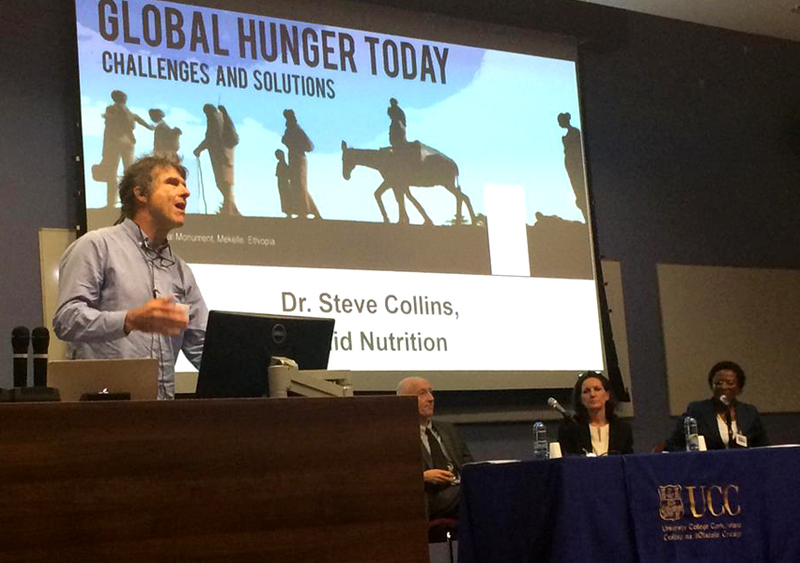 At the Global Hunger Today Conference, Dr Steve Collins raised challenging questions about undue delays in the implementation of robust, scientific evidence that can transform the numbers of malnourished children receiving treatment within existing budgets. 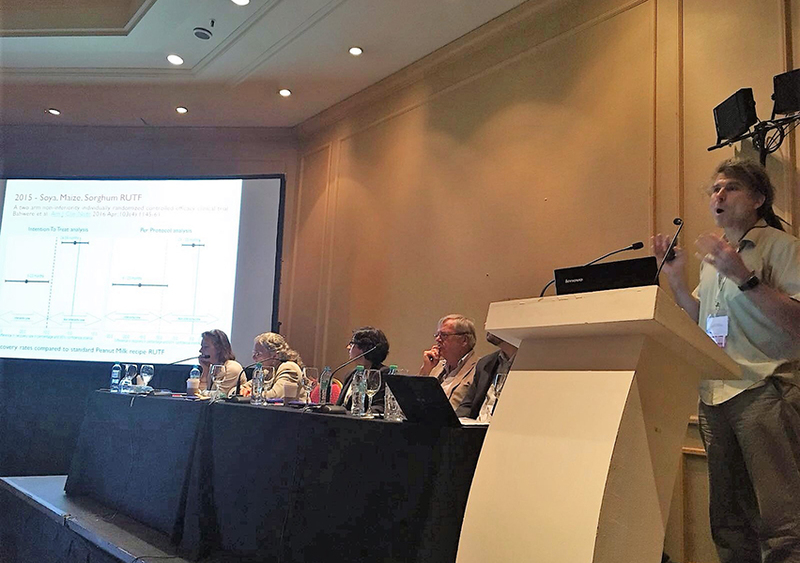 The ground-breaking results from a clinical trial of a Ready-to-Use Therapeutic Food (RUTF) product made without milk or animal source protein and undertaken in Malawi in 2016, were recently unveiled by VALID Nutrition’s Founder, Dr Steve Collins. 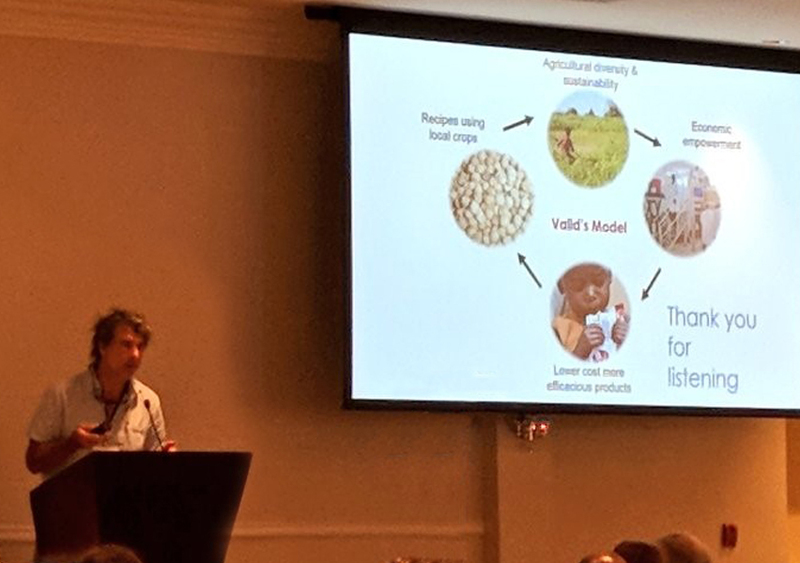 Food Assistance for Nutrition Evidence Summit on June 27th and 28th, 2018 in Washington D.C.